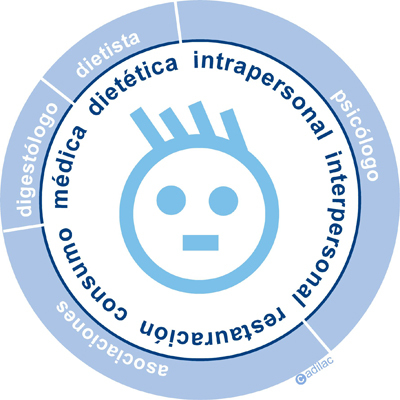 It is necessary for the doctor to have increasingly good knowledge of our intolerance, and although we have progressed a lot in this sense, it is necessary to continue to publicise this intolerance so that it is included in common protocols for medical diagnosis by gastroenterologists. Also, according to the SEIAC, over 800 medicines, with and without prescription, have lactose among their excipients. This often causes difficulty when prescribing the suitable medicine and the patient must place their full trust in their specialist doctor when choosing an alternative medication without lactose. No longer consuming dairy can present significant dietetic limitations, and the LI person must seek alternatives that are rick in calcium as well as other vitamins and minerals that are present in dairy. Although, fortunately, there are many natural alternatives on the market that are rich in these components such as fish, nuts, etc. and even a growing offer of lactose-free dairy, it is necessary to receive advice from a nutritionist-dietitian, particularly in the early stages of defining the diet to be followed after the diagnosis. Suffering from this intolerance generates an evident state of tension, of alertness, of stress. Being aware of everything you can and can’t consume, always reading the product labels, asking in restaurants, etc. The help of a psychologist may be useful when managing all of these feelings. It is evident that food is a significant social aspect. Dinner with friends, business dinners, family celebrations, etc. 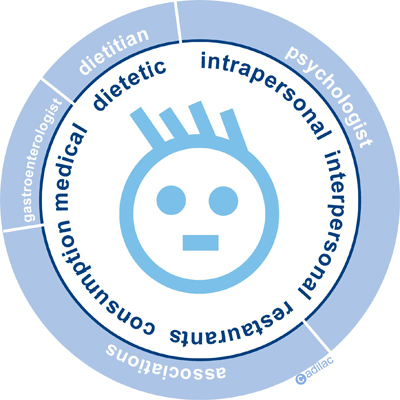 A large section of our social life focuses on food, and people with lactose intolerance often feel limited and different in their social life, making to make continuous justifications and explanations as to why they have this intolerance and diet. This aspect can limit their daily life. Although recent regulations oblige restaurant establishments to inform of the presence of the main allergens on their menus, the reality today is that the lack of awareness of these establishments in compliance, together with high rotation of kitchen and dining room staff, makes it very difficult to get to a restaurant. We won’t even talk about when it comes to dessert, where the range of desserts for the LI is practically non-existent. Lactose is hidden in the list of ingredients under other names, and added to unimaginable products that have no real need to include it. Also, lactose-free products are hard to find and expensive, approximately 30-40% more than their equivalents with lactose. All of this, without a doubt, makes shopping at the supermarket a real battle for the lactose intolerant. The role of patient associations is vital for pressure and demands on manufacturers for increasingly clear labelling.